It is that time of year again- teachers are back getting their classrooms ready and kids are heading back to school now or in the next few weeks. It is both an exciting and busy time for kids, teachers and families. This is a perfect worksheet to give kids a fun worksheet to break the ice or give them a break from all the paperwork, new rules and classwork. What special things do you do in your classroom the first week of school to make your kids feel more at home and at ease? We love hearing about teachers great ideas. 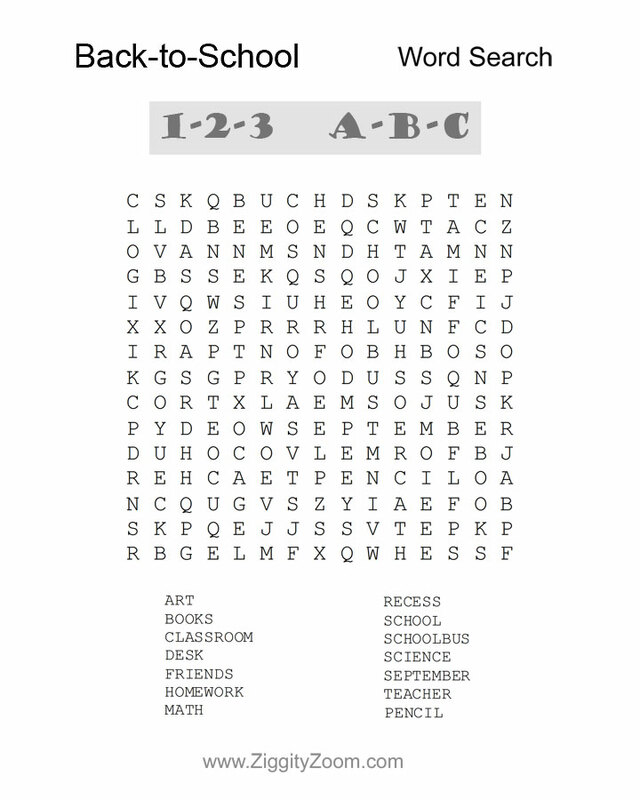 This word activity printable worksheet is great for early elementary kids and if you like this one we have one for most holidays throughout the year just search word search in our search box to find them.